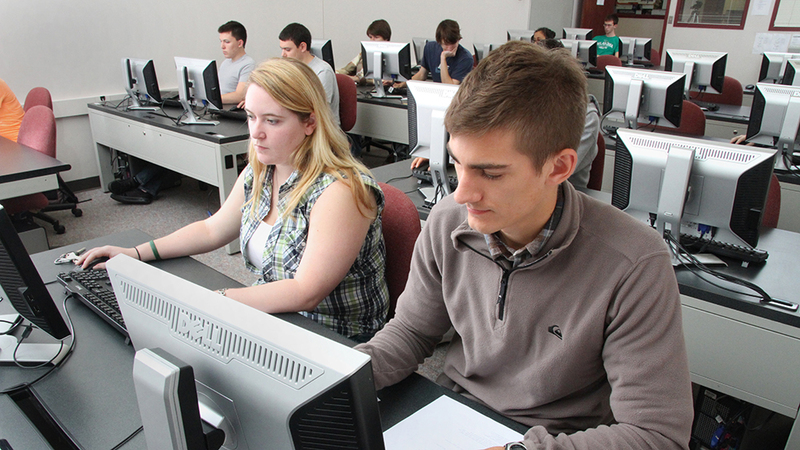 Marketing is offered through the Paul Dickinson College of Business. Marketing is an integral part of the College of Business. In fact, every major of concentration and professional in the business world utilizes marketing concepts in their lives. Students studying marketing learn how companies create customer value and build strong relationships that help establish profitability. As a Marketing major you’ll not only learn the basic principles of marketing goods and services, consumer behavior, marketing research and marketing strategy, you’ll also be exposed to advertising, promotion, retail and sales management, e-marketing and even personal selling. What makes an OBU Marketing degree special? Gain a cutting edge understanding of future marketing opportunities. Get a jump-start on other students through working on projects using modern marketing concepts in digital and Internet marketing. Learn how to use social media platforms like Facebook. Get mentored by highly accomplished faculty, work on interesting real-world projects that are hands-on, work with industry leading companies and obtain critical marketing internships while at OBU. Courses are designed around real-life projects that teach students how to assess company marketing needs, design research instruments, gather and analyze data, and present findings to the companies. Marketing students often elect to focus their elective hours into an additional area of concentration, such as management or finance, which enhances their marketability. What are OBU grads doing with their Marketing degrees? Some students accept well paying jobs at established Fortune 500 Companies or moving onward to graduate school (i.e. MBA) while others pursue their dreams of own businesses.